Jack Joseph Osbourne’s popularly known as Jack Osbourne. He was born in November, 1985 in St. John’s Wood in London. His father Ozzy Osbourne and mother Sharon Osbourne both are actors by profession. Jack got involved with drug addiction and went for treatment in rehabilitation centre. He gained his popularity with the show “The Osbournes” which he did with his father, mother and sister Kelly between the years 2002-2005. The show won an Emmy Award. He also pursued a career as a TV reporter. He has hosted some of the shows that are in the fields of travelling and fitness. 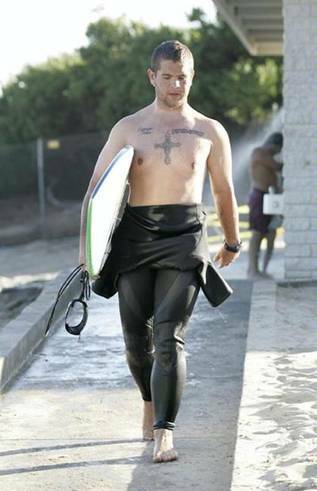 Jack Osbourne: Adrenaline Junkie is one of them. In 2007 he has also hosted the TV show “Saving Planet Earth” on BBC. He is also known for “That 70’s Show”, “The X Factor”, “Dawson’s Creek”. He is quite passionate about his tattoos. He has been seen to sport a number of tattoos of various sizes in several parts of his body. He has got a heart drawn along with a Mum tattoo inked inside the heart on his left shoulder. He has drawn that when her mother was suffering from cancer. Another tattoo that is talked about is Cross bones tattoo on his chest along with a skull tattoo.